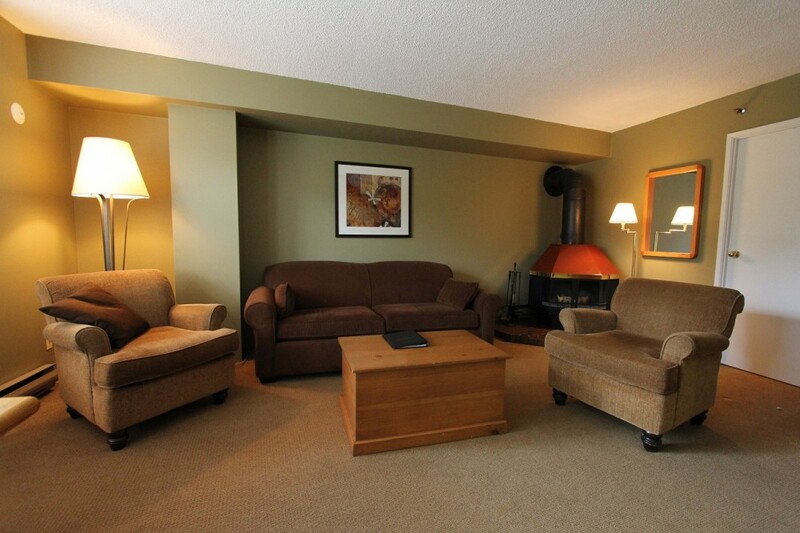 Unit 208 is a spacious one-bedroom unit with original kitchen and bathroom, a large living area with comfortable seating, flat screen HDTV and wood-burning stove. The entryway has excellent storage space and leads into the large living area, with sofa and two armchairs, dining table with 4 dining chairs and fully-equipped kitchen. Please note that this unit may be subject to noise disturbance due to its position in the centre of Skier's Plaza.